Whenever you have travelled abroad, you want to be sure that you are safe and sound financially. Be it travel for leisure or for business, you want the assurance that you can access your money as easily as though as you were at home. You’ll also want your cash and credit information secured. There is a perception that this is tricky when it comes to South Africa. Some think you have to load yourself with your home currency that you will convert into Rand. But this is just one of many options available to the traveller. You can either use any of the many forex outlets in the country to get Rand for your shopping. Or you could directly withdraw from South Africa’s extensive network of ATMs using your debit or credit card. There is also the option of using traveller’s cheques. One more way to spend money in South Africa is to use the Unique Rand Card, commonly known as the URCard. Let us look at each of these methods more closely. You can change money in your country of origin and come to South Africa with a pocket or bag full of Rand. It makes your life easy if you want to make quick purchases especially if you’re travelling to places where you won’t be able to pay by card. One of the main advantages of carrying cash is that you avoid transaction fees involved with swiping your card or making ATM withdrawals. However, taking a significant amount of money around brings with it an element of risk. And you will probably find it a bit cumbersome carrying those notes and coins with you everywhere. These pre-printed vouchers of different denominations were for a long time a favourite substitute for money. The advent of credit and debit cards to a large extent rendered traveller’s cheques obsolete. They are still a great alternative to cash as they are less bulky and more secure to carry around than bank notes. The biggest shortcoming of traveller’s cheques is that many retailers no longer accept them. It is also not surprising to be informed that your cheque is no longer valid. If you have a Visa or MasterCard branded card, shopping abroad is a breeze. ATMs that serve these kinds of cards are in virtually every shopping mall or bank branch. Most merchants will let you pay for goods or services by swiping your debit or credit card. The beauty of using such cards is that you don’t have to arrange your travel money in advance. If yours was an emergency trip, this would serve you in good stead. For credit card holders there are additional benefits to glean, depending on which kind of card you have. 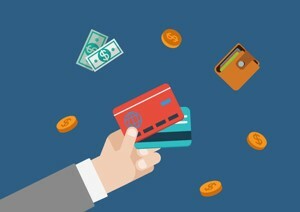 The main downside of credit or debit cards are the charges they attract for each transaction. Transactions done in foreign countries tend to be charged more highly. It’s a prepaid debit card which you can load with the amount you want to spend while in South Africa. It has an advantage over conventional debit and credit cards is that it offers reasonable, fixed rates.